Image editors (also known as photo editors) allow you to create and modify bitmap-based graphics and photographic images. This includes tasks such as painting and drawing, color correction, photo enhancement, creating special effects, image conversion, and adding text to graphics. Your image editor is often the most frequently used tool for working with graphics so it should be flexible and intuitive. Many software programs are available for enhancing and otherwise working with bitmap images, but unless they can perform all of the tasks above sufficiently, they should only be considered as companion tools to your primary photo editing application. These tools offer the core image editing features along with additional high-end capabilities for professionals. Professional photographers, graphic designers, desktop publishers, Web developers, digital artists, and small business users all need to work with an image editor at some point. When choosing a photo editor for professional or business use, you need extreme flexibility, stability, and an intuitive interface which provides high-end features and a streamlined workflow. Automation capabilities are a big plus as well. I've selected what I feel are the best choices for image editors that meet all these requirements. These programs range in price anywhere from $100 US to several hundred dollars. These tools offer core image editing features with an emphasis on ease of use. They often include helpful wizards to walk users through common tasks, and they should include tutorials or handy on-screen tips for getting started. Many also come pre-loaded with one-click presets or professionally-designed templates to assist novice users in achieving polished results right away. Unfortunately, many of the editors designed for beginners sacrifice features for ease of use. As a result, users can become frustrated when they progress beyond the initial learning stage to learn their editor won't allow them to do all they had expected. I've selected what I feel are the best picks for photo editors that provide a suitable balance between flexibility and ease of use. You can expect to pay from $50 US to $150 US for these programs, sometimes much less when a title is nearing the end of its version cycle. These products provide most of the core image editing functions at a price that is quite reasonable. In this category, prices range from free to about $60 US for Windows software and up to about $100 US for Macintosh software. These programs are usually shareware or freeware and they're generally not available in retail software stores. Although shareware and freeware is sometimes not as stable or widely used as the software you can buy retail, it is often very full-featured and you have the advantage of being able to try before you buy. Many times, free software is offered as an enticement to upgrade to a newer or more advanced version and you may have to endure reminder screens or sales pitches to continue using the software. Although they often provide a multitude of features, these tools lack at least some of the core image editing features, and should be considered a companion to a dedicated photo editor. Most often they are lacking the painting and drawing capabilities and are intended primarily for importing, enhancing and correcting digital images. Many of these programs also provide features for organizing, printing, and sharing your photos. 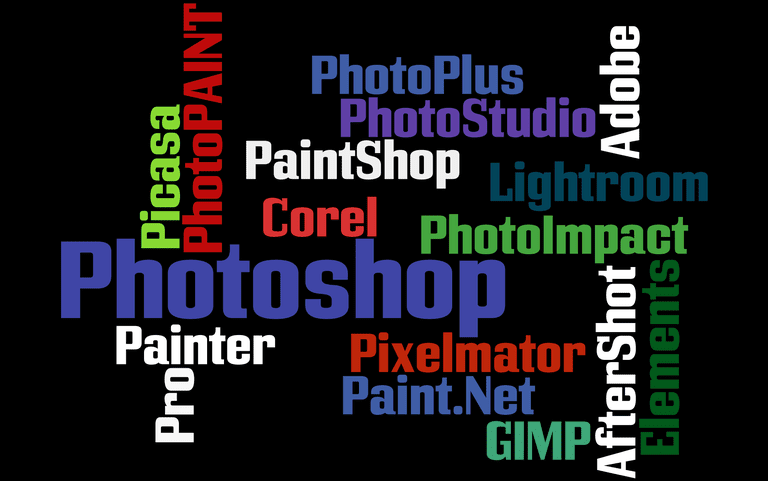 Within digital imaging software, there are many sub-categories of specialty software. Web graphics software provides many of the core image editing features, but is enhanced with capabilities specifically for working with graphics intended for the Web. 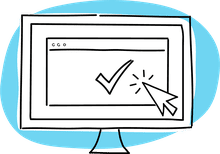 Some of these enhanced capabilities include animation, automatic HTML generation and export, button designers, image optimization, image slicing, and image mapping. Within Web graphics software, there are many sub-categories of specialty software. Thumbnail browsers give you a visual way of browsing and sorting through your image collection. Typically they offer file management, image manipulation, and some basic image editing features. Illustration software offers vector-based graphics editing and drawing capabilities for creating simple, non-photographic designs, technical diagrams, and illustrations such as logos and stylized art. Most also offer basic typography and page layout capability for producing small documents. Graphics suites combine image editing, illustration, page layout, Web design, and typography functionality in one package. Buying a graphics suite is a good way to save money and streamline your workflow. Art-oriented software programs are designed especially for painting, drawing, coloring, and creating original art work. They have tools to mimic traditional artistic media such as oils, watercolors, acrylics, pencils, markers, crayons, chalk, pastels, and felt pens. Many of them also offer a variety of unusual, non-traditional tools.